Walking is difficult for me, as I explain elsewhere on this site. So the long country walks “up-hill and down-dale” I used to enjoy are no longer possible. Fortunately many places in the Woking/Guildford (North-West Surrey) area are ideal for “wheelchair walks” (and therefore also for parents with pushchairs). Some I’ve enjoyed are listed below: click the links for full details. I’ll add more entries as I discover and try them . The final entry below links to my page suggesting walks elsewhere in southern and south-eastern England. 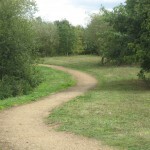 My criteria for a good wheelchair walk are that it enables me to get close to nature, has a good and reasonably level surface without obstructions, and is of a manageable distance: most of those described here range from 0.6 mile (1km) to 2.5 miles (4 km), with options in some cases to extend the distance. They must also have a good access point with car parking. I’m posting details here, in the hope others may also enjoy them. Some are great for a leisurely walk or wheelchair “trundle” in a beautiful setting. Some are ideal for a picnic, or are venues offering an interesting experience. I’d love to hear of other places: if you know any, please tell me! Each walk is accompanied by car parking advice; in some cases I’ve given a bus route number where the service is convenient and regular. If you find this section useful, I can email you each time there’s a new post: just click HERE to send a request. Please use the same form if you’d like to tell me about a walk I can try – I’d love to hear your ideas. 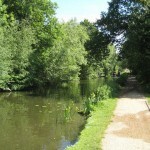 Much of the Basingstoke Canal towpath is ideal for “walks with wheels”. I’ve included a page detailing starting points (with car parking) and with the routes you can take from each starting point. Presently they are all in the Woking area; I hope to add more soon, including some further afield. 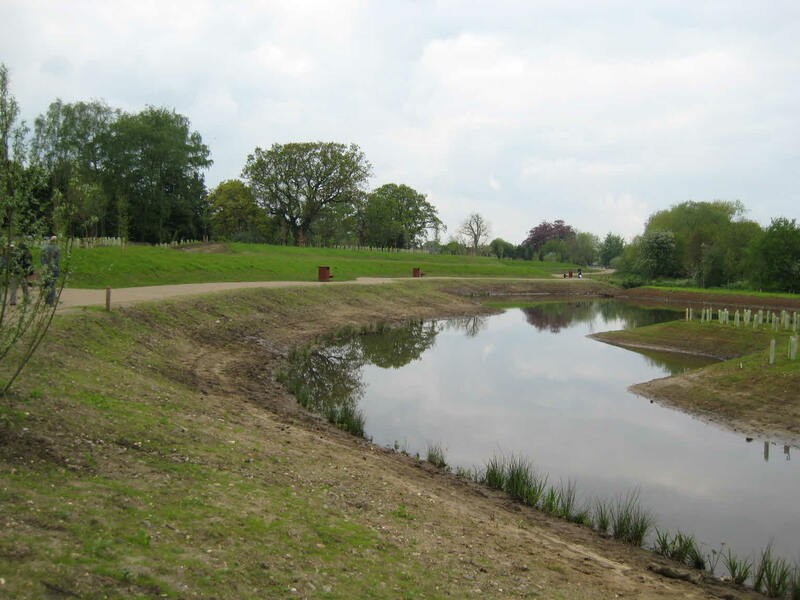 With woodland, open fields, playgrounds and a beautiful canal-side footpath, St Johns Lye is a great place to visit. 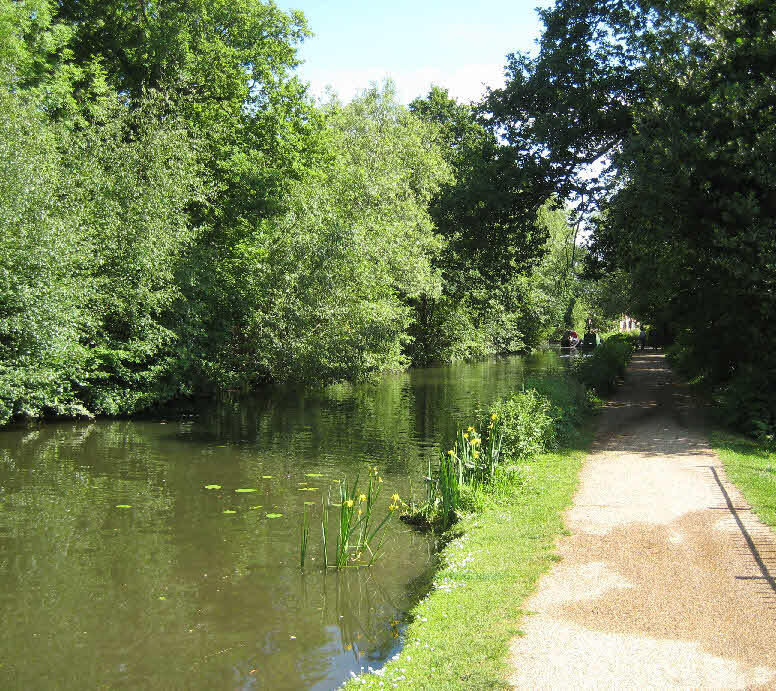 The Lye occupies about 135 acres (54.5 hectares), bounded by St Johns village, the Basingstoke Canal and the main south west railway line. Much of it is common land. 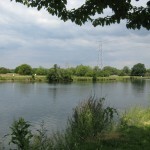 There are several possibilities for easy walks along the canal footpath and on paths across the Lye. The large open area of flat grassland is ideal for picnics. This nature reserve is a hidden gem. 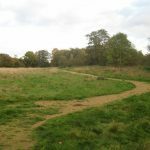 It provides an easy and very lovely means for wheelchair users to move through its mixture of meadow, woodland and wetland. Location: Just off the A322, between Woking and Guildford. 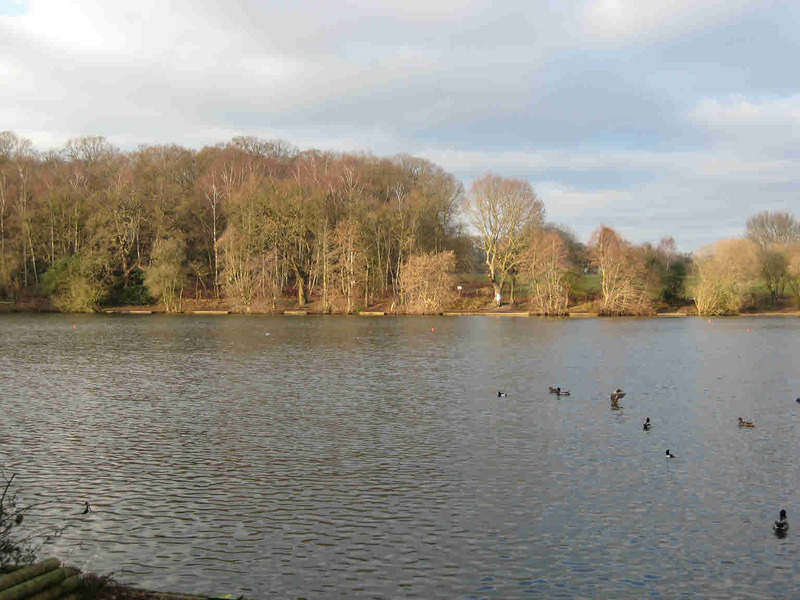 With gentle paths and scenic views across ponds and the Basingstoke Canal, Brookwood Country Park is a delightful place for a wheelchair walk or picnic. 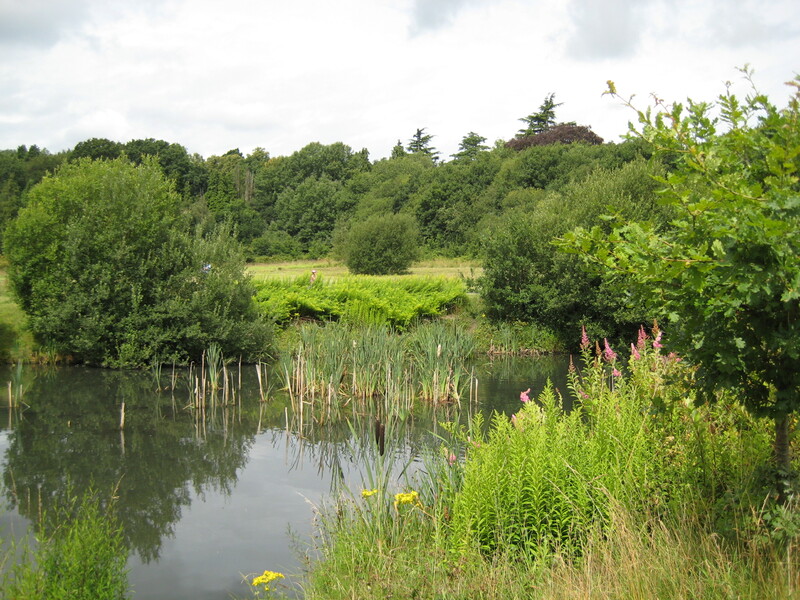 This green and pleasant area between Knaphill village and the Basingstoke Canal was skilfully converted by Woking Borough Council into a lovely mixture of woodland and meadowland, with four picturesque ponds. 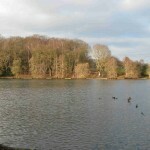 There can be few better places for a short and easy “wheelchair walk” near Guildford than at Brittens Pond. A complete circuit is just 700m with continuous views across the pond which has three small islands and is populated by many ducks and other water fowl. 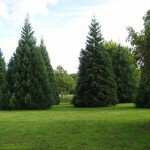 Few people know about this small arboretum, which is ideal for a short wheelchair walk within pleasant green parkland. 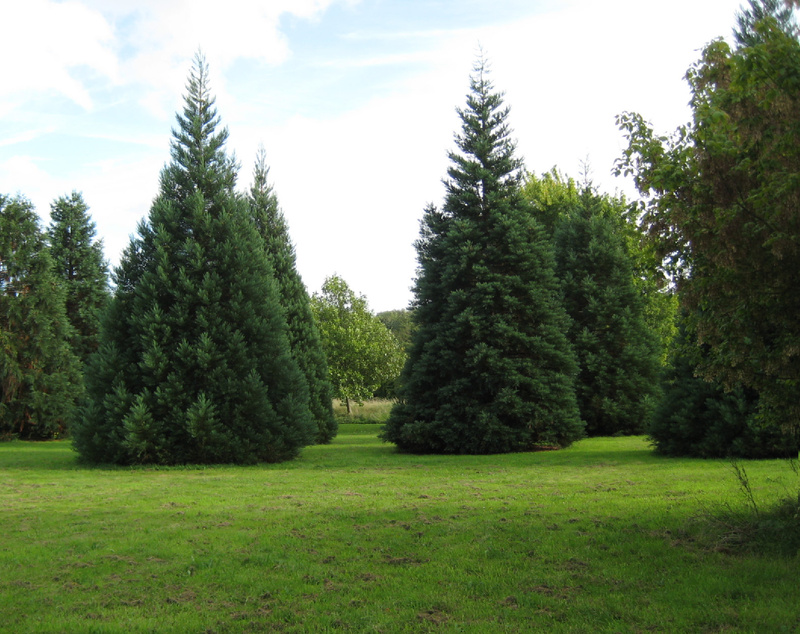 Themed “Around the World in Eighty Trees”, the tree collection is grouped in areas according to the continents where they originated. 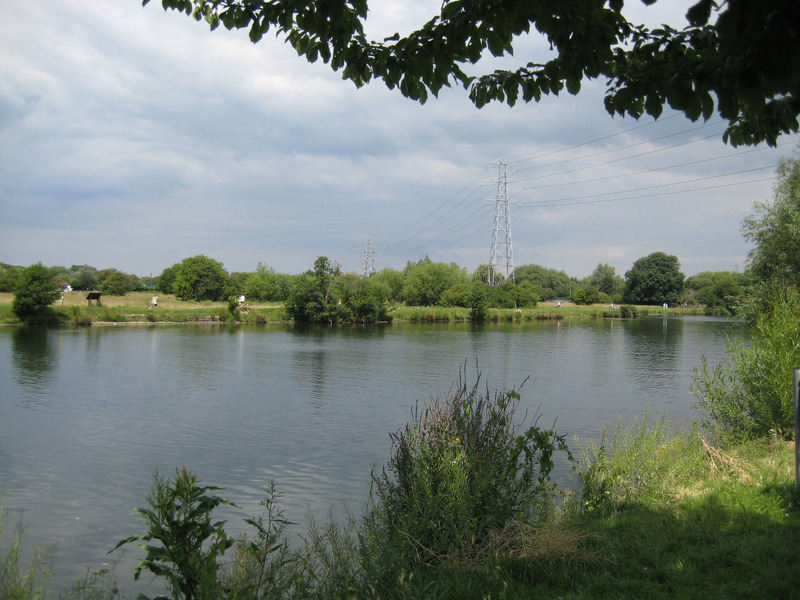 We’ve spend many leisurely sunny afternoons on the grassy bank of the River Thames at Chertsey Meads with a picnic lunch, newspapers, books and binoculars. The steady stream of passing leisure boats is another attraction, especially if you enjoy people watching! 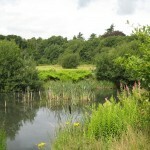 Chobham Water Meadows was created as a natural environment for recreational use in Chobham, so avoiding disturbance to birds and other wildlife in nearby Special Protection Areas, expecially Chobham Common. 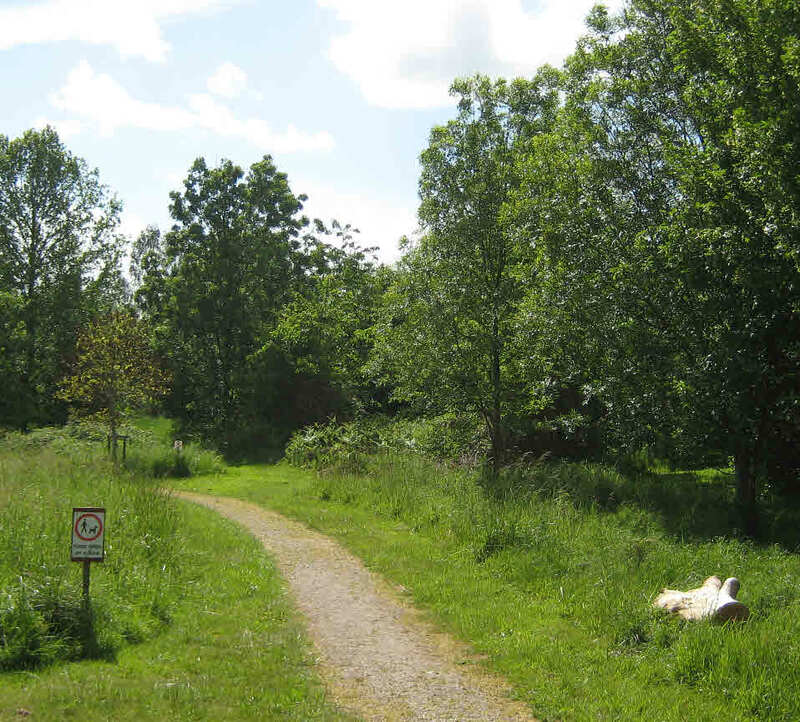 Tjhe 23.5 hectare site is designated as a Suitable Alternative Natural Greenspace (SANG): these areas are created as enhanced and attractive greenspaces that provide an enjoyable place for exercise and dog walking. 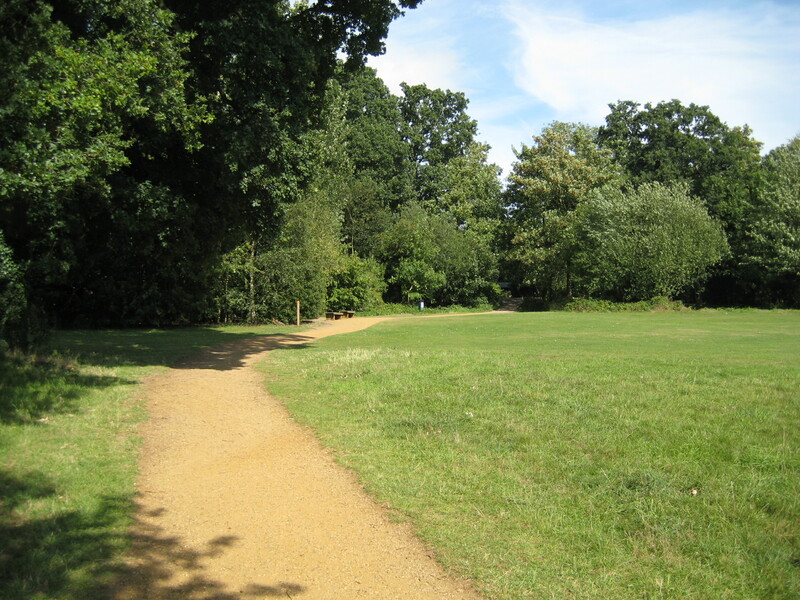 Hoe Valley Park is a landscaped country park in Woking which opened in spring 2012. 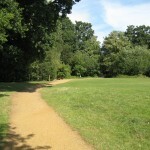 Its wide hard-surfaced pathways are suitable for walkers, cyclists and wheelchairs. 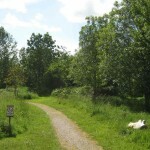 The paths are level or have gentle slopes, so can be easily managed by wheelchair users moving under their own efforts. 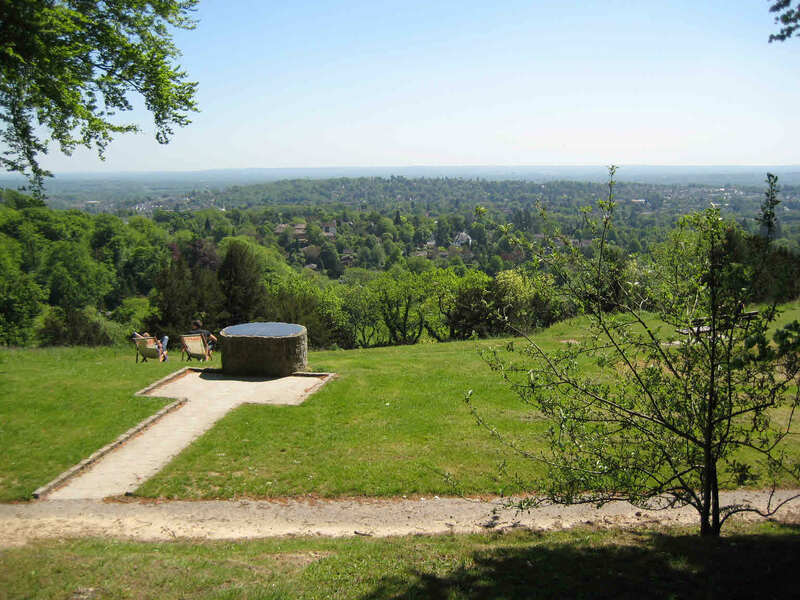 Reigate Hill is on the southern edge of the North Downs above its namesake town. 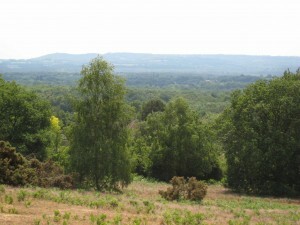 From Wray Lane car park there are extensive views across Reigate and the flat land of the Weald towards the South Downs: an ideal picnic location. Only attempt this walk if you’re a fit wheelchair pusher! 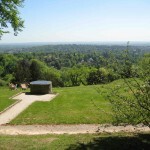 Newlands Corner with its famous, extensive view is a great place for a picnic on a sunny day. But don’t expect peace and quiet at weekends and sunny summer weekdays. Unfortunately its short woodland walk for visitors with mobility problems is disappointing. 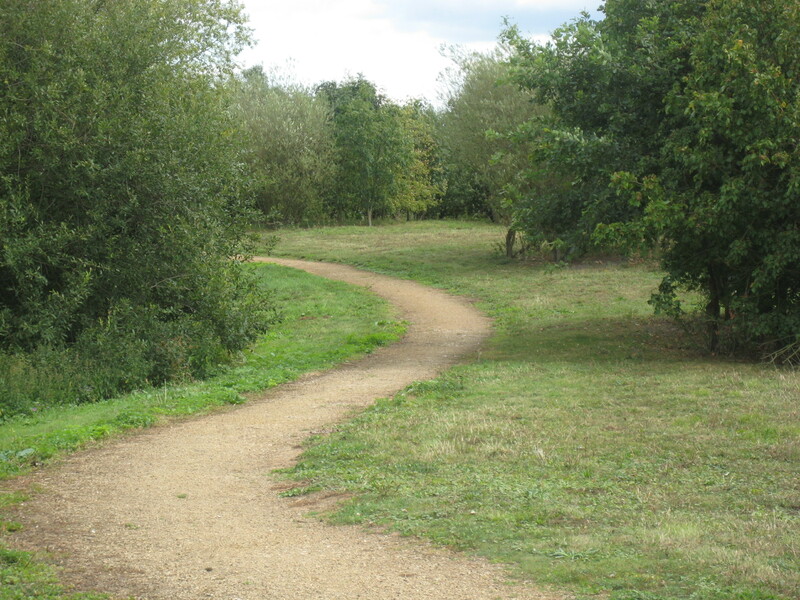 With level paths, beautiful views and diverse flora and fauna, this nature reserve and woodland are ideal for wheelchair users, while their proximity to the M25 near Heathrow means disabled people can get close to nature without travelling deep into the countryside. 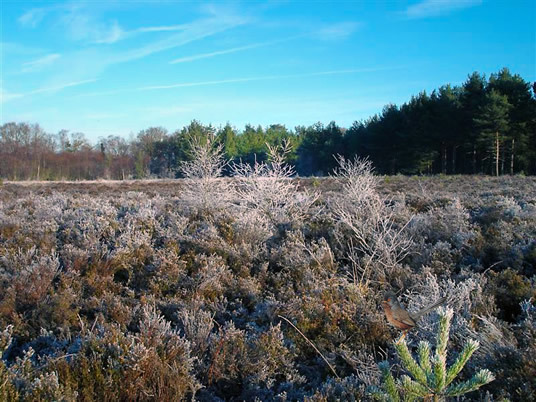 Renowned worldwide as the site of the first Martian landing in “The War of the Worlds” by H G Wells (who lived in Woking), Horsell Common is a 355 hectares (885 acres) area of beautiful countryside at Woking, Surrey. 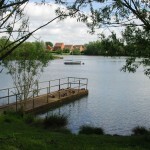 Goldsworth Park Lake provides a pleasant area of open space and fresh air at the heart of a large housing development built during the 1970s and 1980s (“Goldsworth Park”). A tarmac path runs all around the circumference, a distance of 1.25 km (0.75) miles, providing continuous views across the lake. 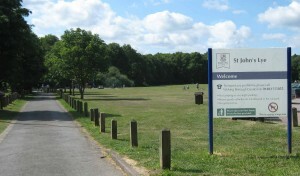 Frimley Lodge Park not only provides opportunities for short and easy wheelchair walks but also the possibility of a ride on its miniature railway. With sports pitches, children’s playgrounds, woodland, picnic areas and lots of open space, it offers something for all ages. And its footpaths are ideal for wheelchair walks! A great place for a summer picnic on the edge of the North Downs. 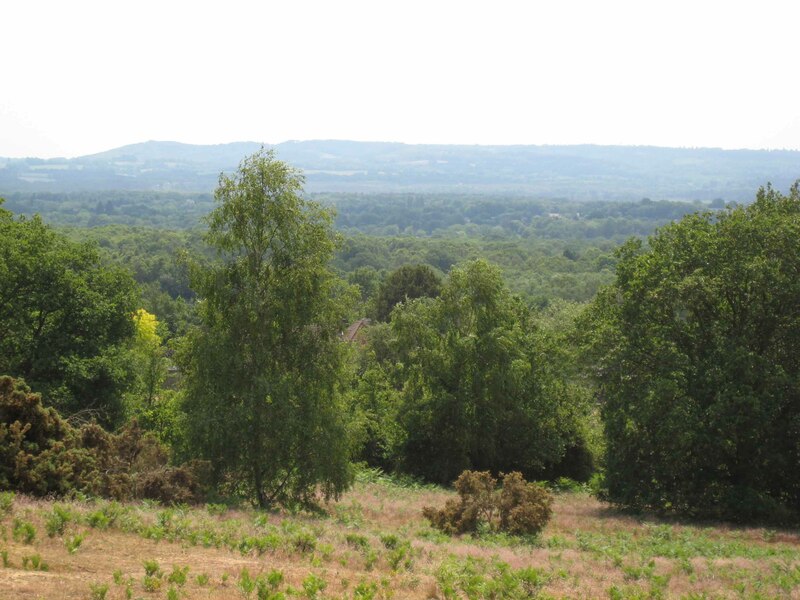 Dine while taking in fantastic views across miles of heath and woodland. It also provides opportunities for short wheelchair walks. 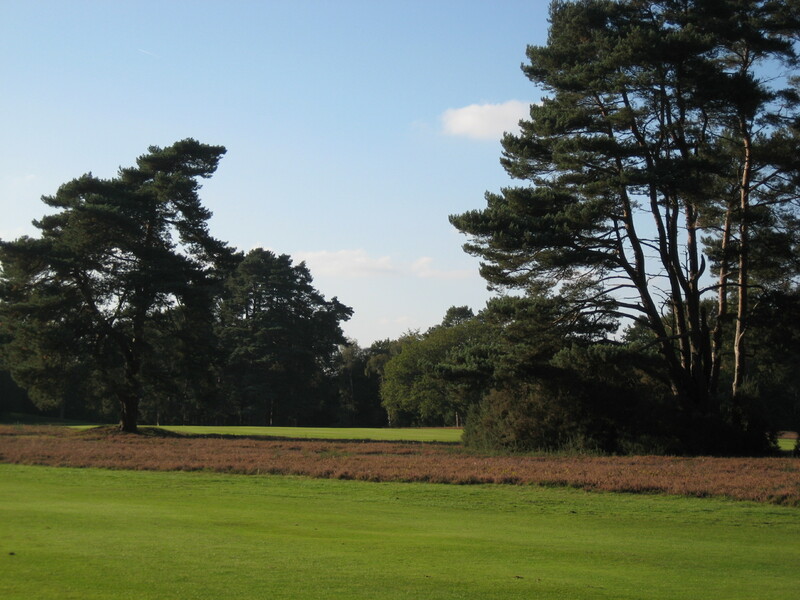 This walk uses public footpaths across Woking golf course. 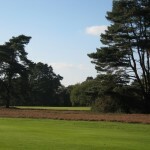 It provides attractive views across the course and passes through mature woodland. 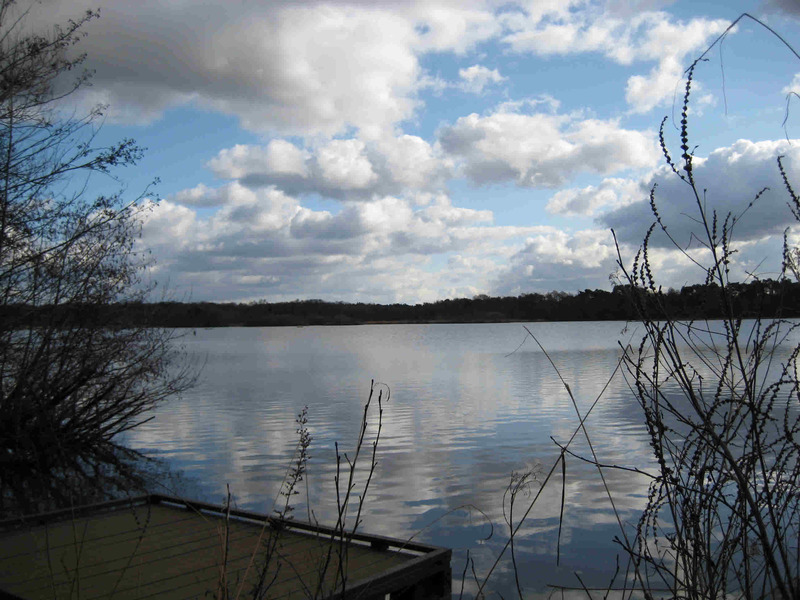 Fleet Pond is Hampshire’s largest freshwater lake and at the heart of Fleet Pond Local Nature Reserve, whose reed beds, marshes, heathland and woodland provide sanctuary for a rich and diverse community of animal and plant life. 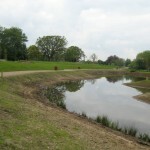 A wheelchair-friendly circular path around the lake is 3km in length. 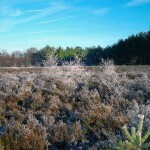 The walks listed above are all within the Woking/Guildford area. 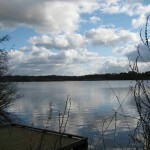 Click below for a page listing collections of walks in other parts of southern and south-eastern England. So, pack the car with a picnic or – better still – book a short break in these areas to enjoy a variety of the walks suggested! If you find these pages useful, please leave a comment below.